Hello friends! Oh how I’ve missed you! I’ve had 2 jam packed weeks being away at SNAP Conference and then at my sales conference for work. I’m feeling inspired from my time away at SNAP. There is so much I want to do on Sew Creative, I met so many fabulous people and my brain is packed to capacity with crafty ideas. 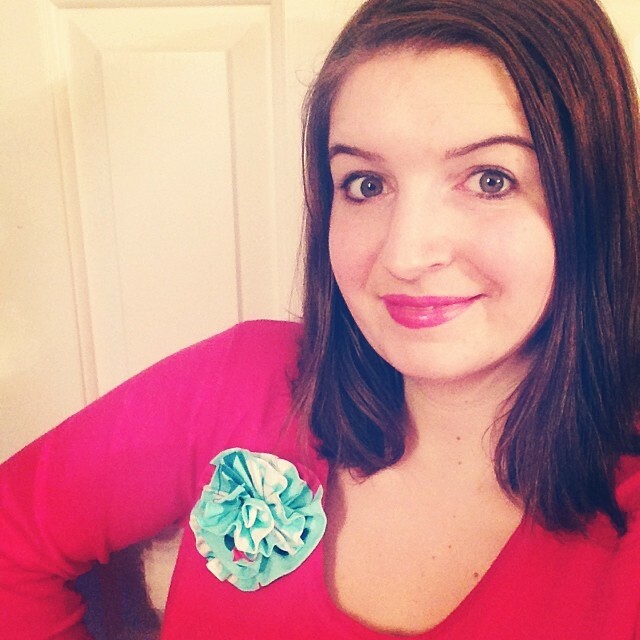 I’ll be sharing a SNAP recap soon, but in the meantime, today I thought I would share with you my Oh Sew Easy 10 Minute Fabric Flower Tutorial. When I was getting ready to leave for SNAP I was picking out my outfits and decided that my pink sweater needed a bit of dressing up. 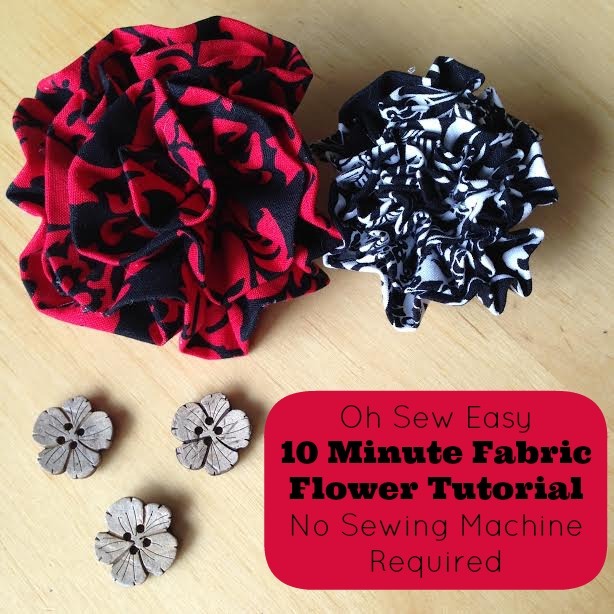 I checked online for fabric flower sewing instructions. All of the flowers I liked had you sew the flower together when you were gathering it into the flower shape. Many of them said you needed “Nimble fingers”. Nimble fingers I do not have so I decided to try my hand at creating my own Fabric Flower tutorial using needle, thread and a glue gun. I hope that you find these flowers as easy to make as I do. Strip of fabric. 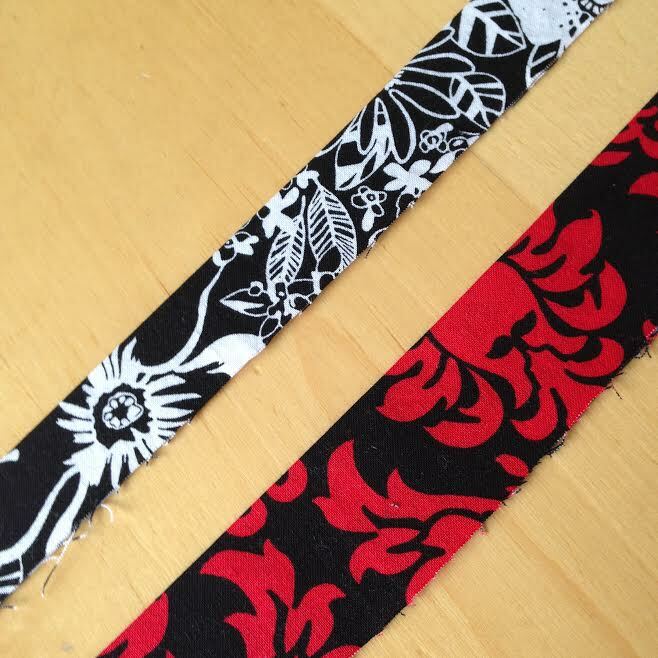 For small flowers you will want a strip that is 2 inches wide by 41 long (or whatever the width of your fabric is). For the large flowers you will want a strip that is 3 inches wide by 41 inches long. 1. 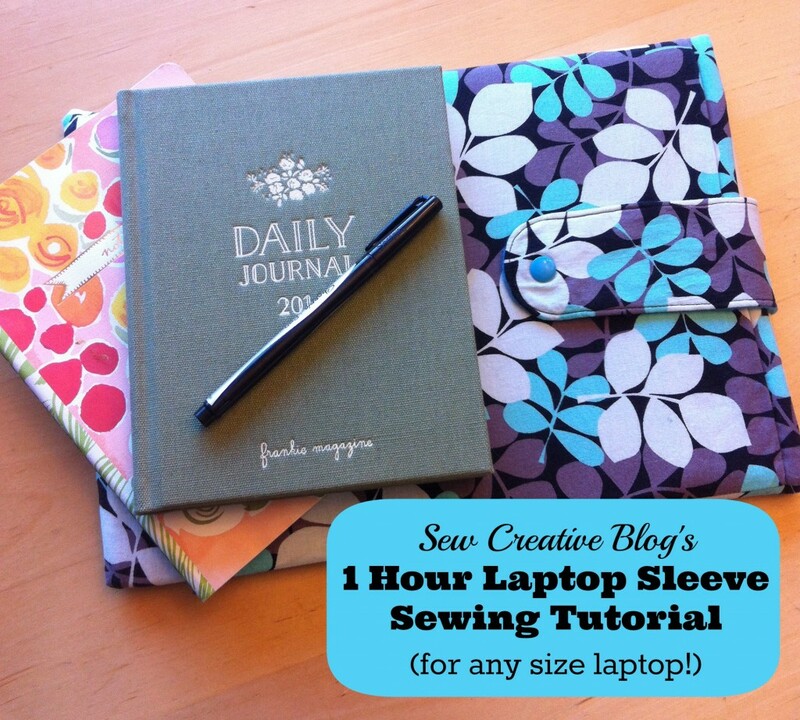 Take your strip of fabric, fold in half and press. Trim off side of the selvage that has writing on it. You will have a strip of fabric that is 1″ x 41″ if you are making a small flower or 1.5″ x 41″ if you are making a large flower. 2. Take approximately 20 inches of thread. Knot one end and thread your needle. 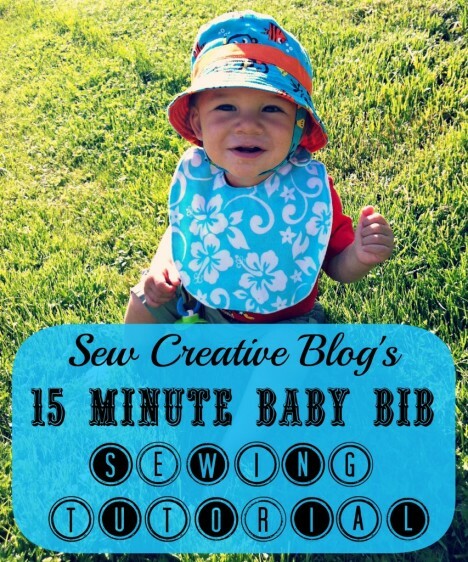 Using a running stitch, sew along the base of the length of your fabric leaving approximately 1/2″ between stitches. 3. When you have finished sewing all the way to the end of the length of your fabric push the fabric down towards the knot in your thread. This will create a bunch of beautiful ruffles like above. Now for the fun part! Assembling your flower!!! 4. 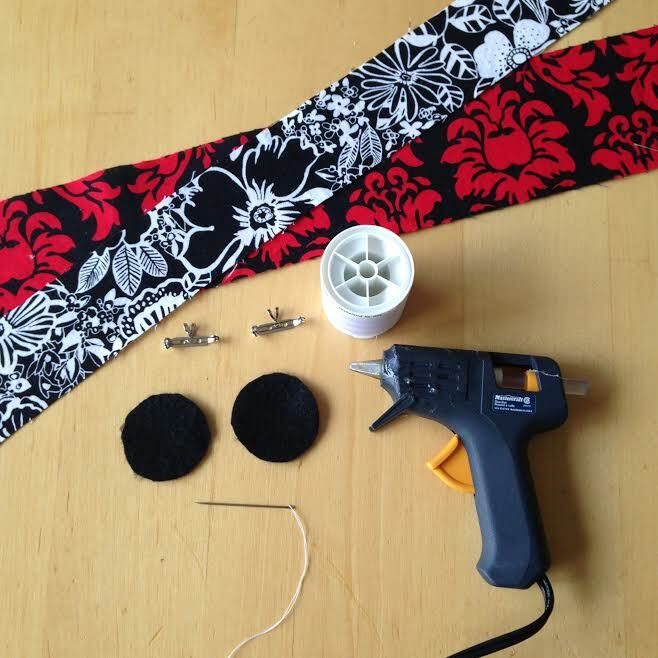 Plug in your glue gun and allow to heat. 5. Creating the “bud” of your flower: The first flower I made I didn’t love the center of the flower. I found that the method illustrated in the photo above made a lovely center. Pick one end of your fabric. Fold one corner down and glue, fold the raw edge in so it lines up with the edge of the corner that you just folded down. Glue. 6. 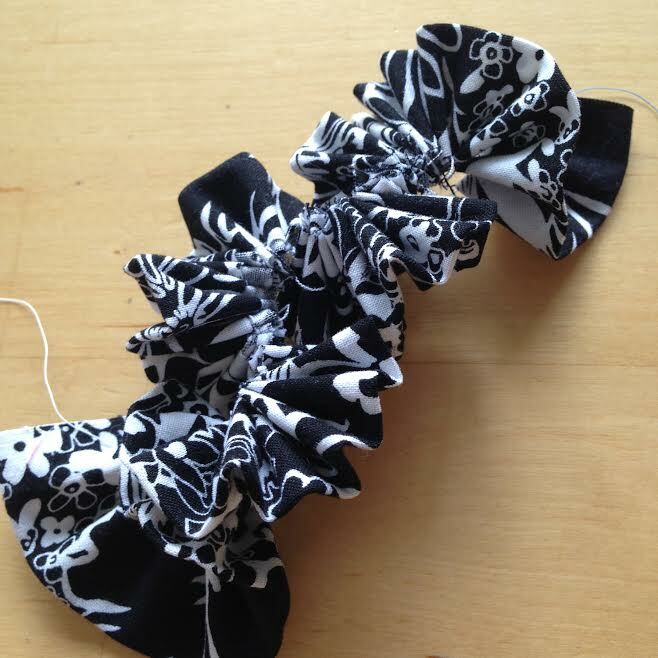 Start wrapping your ruffles around the bud that you just created, gluing as you go. 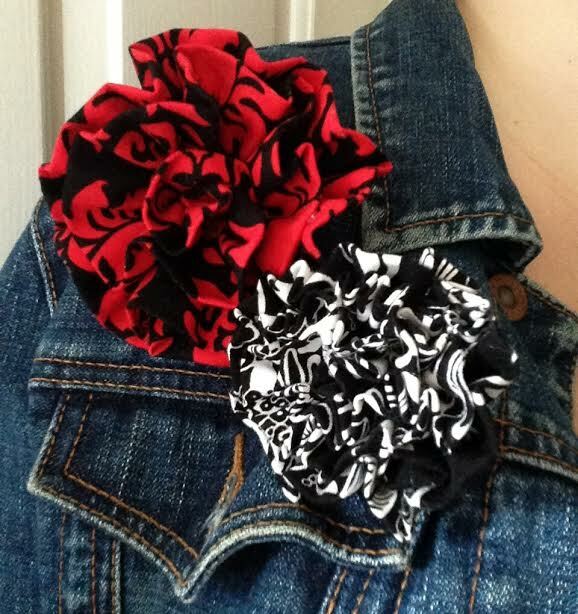 Adjust the ruffles, tightening or loosening depending on how you want your flower to look. 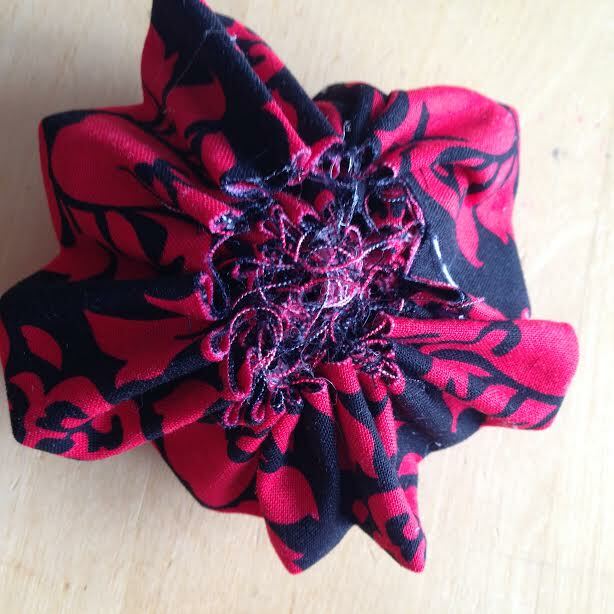 Continue wrapping and gluing as you go, creating your flower. When you get to the end, take a look at your flower. I sometimes find that some of the “petals” look like they are too spread out. Put a drop of glue where you want petals to meet, and then pinch together until you have your perfect flower. 7. Flip your flower over. It will look something like this. 8. 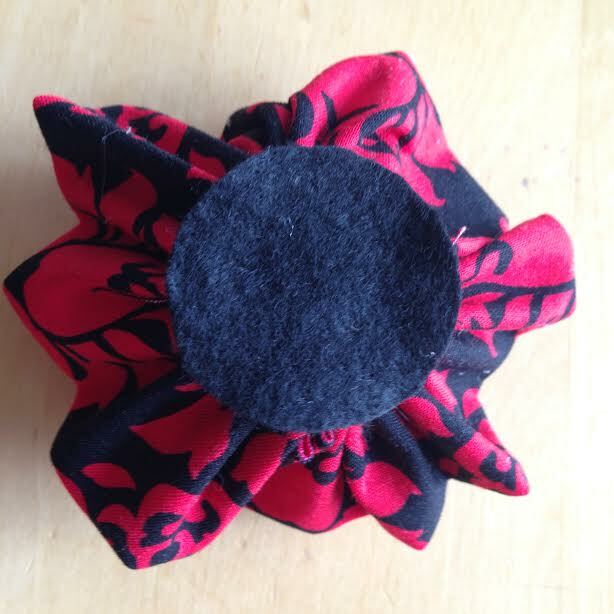 Put a dollop of glue in the center of your felt circle and cover the raw edges of your flower. 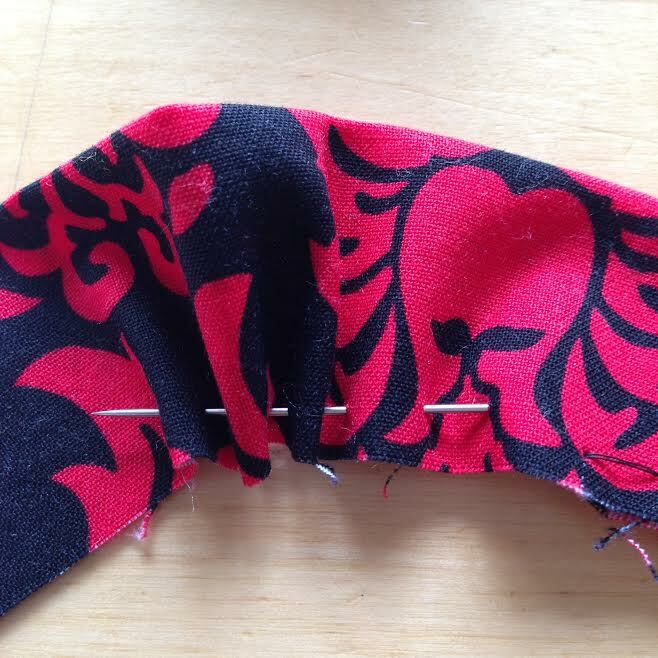 Go around the outside of the felt, little by little, gluing the outside edge of the felt to the fabric until it is firmly attached. 10. 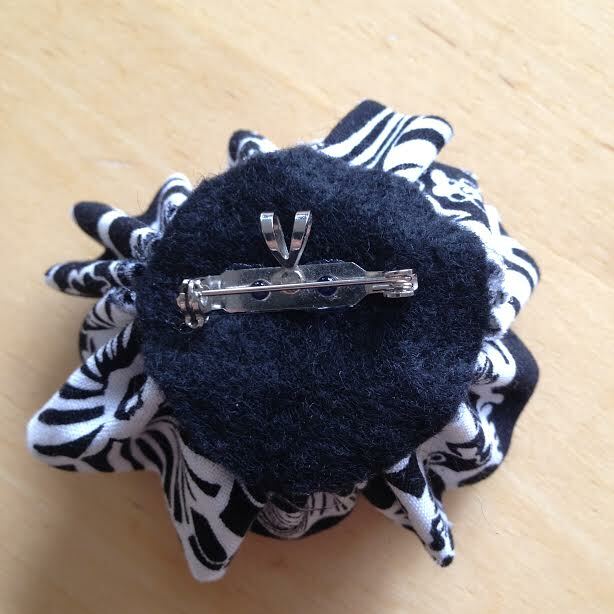 Put glue on the back of your brooch backing and attach to the felt. Leave to dry for 30 minutes before putting the brooch on. At the end you should be left with beautiful flowers that look like this! 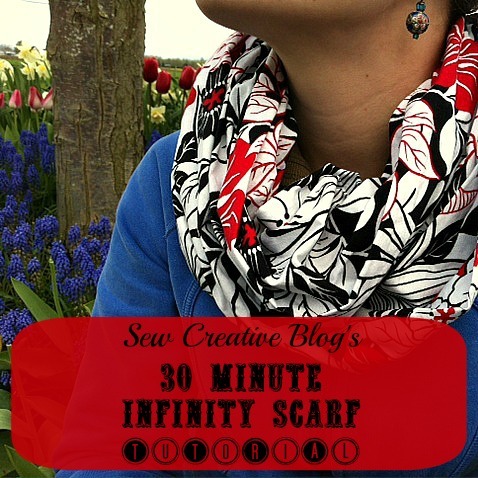 A super easy-peasy one of a kind summer accessory handmade in minutes! I love these little flower guys, you looked so cute at SNAP wearing one! I can visualize these in crushed velvet for the holidays and trimming sweaters. Beautiful! Oooh Marcia that would be so pretty! Very cute and I like that yu don’t need sewing machine!